Is AOD Corporate Right For Me? With the introduction of AOD Corporate we are now adding a new kind of Australian business database to our family of products. As a result we have been fielding numerous questions about which product is the best fit for your particular organisational goals. Hopefully this will clear up any questions you may have. This marketing tool (formerly known as “The Australian Business Compendium” can trace its lineage back over twenty years, to the very first Australia On Disc released early 1988. Then as now, AOD Corporate provides a greater depth of information on many of what might be termed the ‘larger’ Australian companies and/or corporations. It also contains listings that for whatever reason were unable to be captured during the production of Australia On Disc itself. Businesses not yet fully operational, entities unlisted elsewhere, others of such recent commencement their operational details have had minimal exposure to date. In the next paragraph, some of these aspects will be expanded upon. What do I get with this product that I can’t find in Australia on Disc: Business Edition? More need-to-know information on many businesses that are referenced in AOD Corporate and a significant number of companies that simply are not listed in AOD Business. Added to this are increased search criteria by way of SIC codes, employee size, and additional business categories, to name but three. For any user requiring ABN numbers: of the approximately 25,000+ listings within AOD Corporate, more than half contain this information. The percentage will increase substantially in subsequent releases of the product. Ultimately we aim to have an ABN recorded for literally every listing. 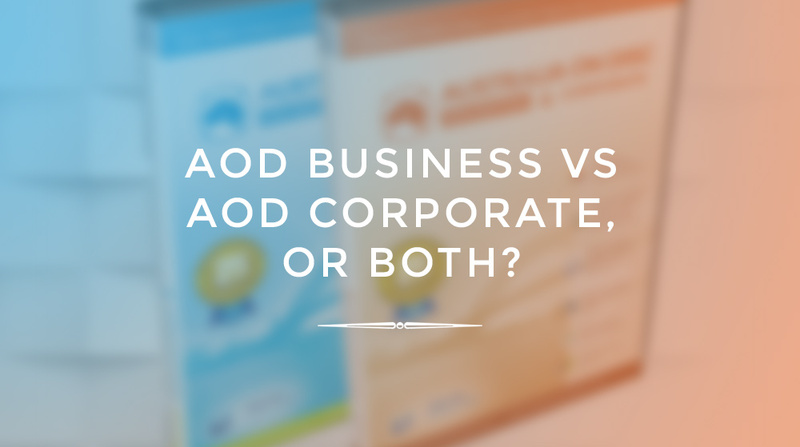 The difference between a company’s listing on AOD and its equivalent AOD Corporate entry can be striking. If your needs do not extend beyond requiring telephone and fax numbers, maybe email addresses for either net-based contact or telemarketing options – then AOD Business is the product for you. Should you have an interest however in company size, mailable contact names, plus a need to either confirm an ABN or find one for a particular business – then AOD Corporate is an essential tool you should be using – either as a stand-alone product or as an adjunct to Australia On Disc Business Edition. Next Steps: Learn More About AOD Business & AOD Corporate or Purchase Today. Don’t forget: You can save $100 when purchasing the AOD Business & Corporate Bundle! All local orders are dispatched via Express Post from our east or west coast dispatch centres. Most customers receive their order within 24-72 hours. Credit Card & Paypal are accepted through our 100% Secure Checkout. We never see your financial details. Shop safe with us. The trusted name in Database Marketing Software Solutions. The best marketing databases & mailing lists for Australia & New Zealand including our flagship product Australia On Disc. AOD Business 2016 Edition Out Now!